Artists and students will love this Essentials Sketching Artist Pack for exploring their creative side. * Royal & Langnickel has assembled this convenient set with the fundamental tools for endless experimenting and creating! 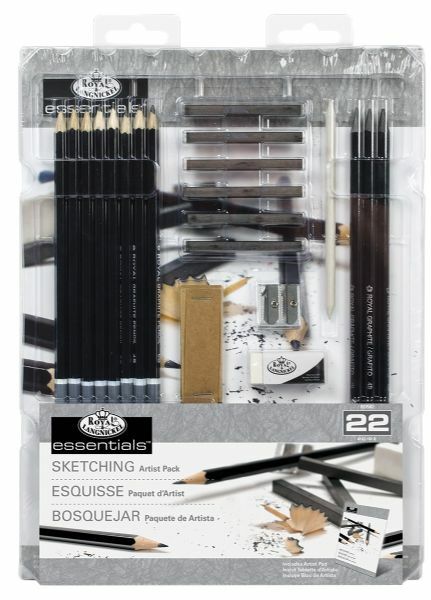 Includes: 8 Graphite Pencils 6 Sketching Sticks 3 Woodless Graphite Pencils 1 Blending Stump 1 Sharpener 1 Sanding Block 1 Eraser 1 Artist Pad (Sketching).